Mnemonics, Memory and Me Jan 14, 2014 Everyone remembers the songs and rhymes of their childhood. Those of us with children of our own in turn pass them on to our own kids. Remembering t.. Surviving a Shark Attack Jan 31, 2016 Few things are nearly as terrifying to a swimmer as a sharp upright fin braking the waves and moving towards them and with good reason. Beasts like the Gr..
Further studies could continue with you upgrading your qualification to a Higher Advanced Diploma in Applied Animal and Environmental Welfare from us, or to use your Diploma to gain a place at University. A number of our graduates have gone on to do this, but we do recommend that you check with the ones you are considering joining, before enrolling. you will need to inform them that the qualification is level 5 and that it will be issued by an Ofqual recognised organisation. Hi, is this course accredited? Once I finish this diploma which institutions would accept this for a Bachelor's degree? What type of jobs would be recommended after the diploma? Hello Dirk and thank you for your questions. ADL is a Recognised Centre for TQUK - An Ofqual Approved Awarding Organisation and your qualification will be recognised by them through endorsement of the course. TQUK will also issue the qualification and prospective employers and universities will be able to find them on the Ofqual Register. The Office of Qualifications and Examinations Regulation (Ofqual) is a non-ministerial government department that regulates qualifications, exams and tests in England. Colloquially and publicly, Ofqual is often referred to as the exam "watchdog". The Diploma may help you on to a degree program, but because every university has its own entrance criteria, we cannot tell you which ones will accept it. You should check with those that you are interested in, before enrolling with us. Possible opportunities, after you have completed the course include: Field Researcher, Aquarium Assistant, Ecotourism Expert Guide, Marine Park Manager Lecturer/Tutor, Marine Planner Environmental Consultant, Tour Guide, Aquaculturist. Wildlife Officer, Park Ranger, Animal Rescuer, Zoo Keeper, Wildlife Observer and Conservationist. Please note that qualifications on their own won't always guarantee you a job. Many employers will now test what applicants learned in their course and if they know how to apply it to their organisation, rather than take the qualification at face value. This is where our courses score highly. They are written and updated by industry relevant professionals, to give you both the knowledge and the skills employers in their field will be looking for. We hope that this answers all of your questions, but please come back if you need more information. What qualifications do you need before starting the course? You do not need any qualifications to enroll for this course. Al the materials you will need are included and you will have unlimited tutor support from a professional and suitably experienced and qualified person. If you haven't studied for a while, or have never done any formal writing, don't worry as we always include our courses on Academic Writing and Critical Thinking, free of charge with every course. By doing these before you begin your main course, you will be well prepared to get the very most from your studies with us. Would this course be recognized at an A-level standard in Malta? This course is under the EQF through ASIQUAL and is a level 5 course (just above a-level standard) and is worth 60 credits which you may be able to use towards a degree. ( 16/09/2013 ) A: Hello Marina, The Diploma in Marina Studies is at an A-level standard. The course takes roughly 600 hours of self directed study. Diploma in Marine Conservation course online. Home Study course in Marine Studies. Understand and develop a sound knowledge of Marine Biology and Management. This 600 hour distance learning course is designed to provide a broad based, solid foundation for people working or wishing to work in Marine conservation, tourism or research. If you are searching for work in these industries, we often find people who require a certificate like this, together with an Open Water Divers Licence and Boat Licence are more employable than a Degree graduate. If you want to discuss possible career paths, use our free career and course counselling service, and talk with an experienced academic. Identify characteristics of various marine environments. Discuss the first basic groups of marine animal life. Identify characteristics of various marine environments. Discuss the first basic groups of marine animal life. Describe the range of molluscs and crustaceans in the marine environment and their lifecycles. Describe the biology and ecological significance of Cephalopods and Clupeoids in the marine environment. Describe a range of cartilaginous fish (sharks, rays) and selected bony fish (eels) that inhabit the ocean. Describe selected species and the diversity of marine fish that exists in the world?s oceans. Describe a range of marine mammals. Discuss the presence of marine mammals in the seas and oceans of the world. Describe a range of reptiles and birds that co-habitat with fish in the marine environment. Describe the variety and nature of microscopic animals which occur in marine environments. Describe the variety and nature of a range of different types of marine plants. Describe the variety and nature of a range of different types of cnidarians and marine worms. Describe the variety and nature of arthropods in marine environments. Describe the variety and nature of Molluscs in marine environments. Differentiate between different classes of Echinoderms and selected families within those classes. Describe the shared characteristics and distinguishing features of a selection of different species of non-bony fish. Describe characteristics of bony fish, including anatomy, physiology and behaviour. Differentiate between different families of bony fish. Describe the taxonomic characteristics of groups of marine animals including reptiles, birds and mammals. Develop an understanding of the basics of environmental study design, analysis and reporting within a legal framework. Research the legislation which dictates the environmental assessment requirements in the student's home country. Appreciate the range of environmental assessment techniques that have been developed to assess a range of situations around the globe. Understand the environmental assessment process in enough depth to manage a small environmental assessment. Write a professional environmental report. Prepare an environmental impact assessment including carrying out all research and writing up the actual report. Elective Modules: In addition to the core modules, choose any 3 (three) of the following modules. Alternative 1: If you work in the industry that you have been studying; you may submit a reference from your employer, in an effort to satisfy this industry (ie. workplace project) requirement; on the basis of RPL (ie. recognition for prior learning), achieved through your current and past work experience. The reference must indicate that you have skills and an awareness of your industry, which is sufficient for you to work in a position of responsibility. Study Research online and learn to plan and conduct research for any industry or discipline. Discover ways that research skills can improve performance and sustainability of any business. 100 hour self paced course, expert tutors. ​Note: each module in the Diploma in Marine Studies is a short course in its own right, and may be studied separately. The Academy for Distance Learning has a history of supporting wildlife projects.The world renowned Conservationist David Youldon, Chief Operating Officer of AFRICA NEEDS LIONS www.lionalert.org, completed our Advanced Certificate in Wildlife Management and with previous qualifications, went on to study a Masters in Biodiversity, Wildlife and Ecosystem Health at Edinburgh University. He was also accepted for a short course in Data Analysis in Ecology at the University of Oxford. 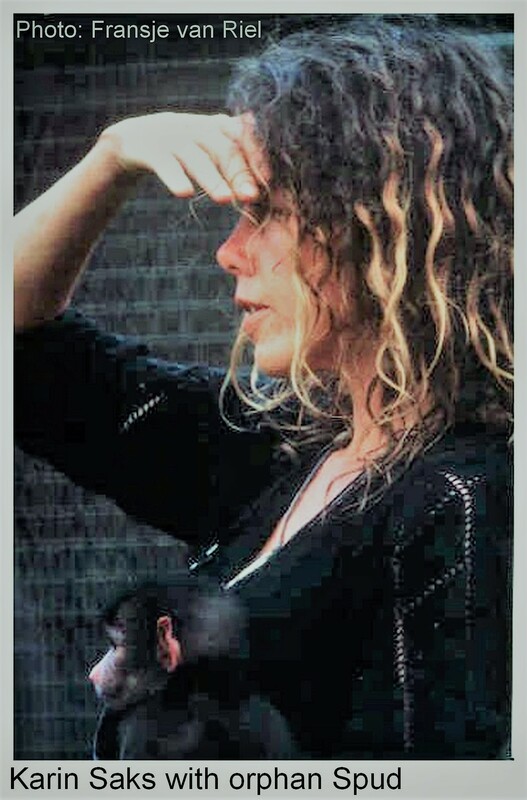 Currently we also have the Primate Naturalist: Karin Saks, studying our Primatology course. Since 1997, Karin Saks has been involved in the fostering and rehabilitation of orphan baboons, the caring of injured monkeys who have been returned to the wild and has worked towards a harmonious co-existence between these primates and humans. She has monitored wild baboon troops who raid human homes to research ways of baboon management and has observed wild troops in her area with a view to finding out damage done to troop structures and numbers because of human intervention. Due to legislation that allows for the persecution of vervet monkeys and baboons in South Africa, hundreds of orphaned primates currently reside in rehabilitation centres without much chance of being released back into the wild. The primate pet trade is also on the increase due to the amount of infants orphaned when mothers are killed. Educating the public on how to live harmoniously with these primates and appealing for new protective legislation - that is actively enforced - are crucial aspects to finding solutions. The Darwin Primate Group – registered NPO 059-587: Like many who take on the task of rescuing these persecuted animals, Karin self funded her work until 2008 when she founded the Darwin Primate Group and registered it as a non-profit organization. Research into endangered samango monkey (Cercopithecus mitis labiatus) populations: In 2014, Karin moved to Kwazulu Natal where she is researching the endangered samango monkey (Cercopithecus mitis labiatus) populations in the Midlands. (She is no longer working directly with rescued baboons or vervet monkeys.) As the samango monkey is restricted to forest habitat and is a seed dispersing species, it is listed as Vulnerable in the Red Data Book of the Mammals of South Africa (2004) with samango subspecies - C. m. labiatus - occurring on the IUCN (2007) Endangered list making research into populations necessary to identify if management and further protection is needed. You are welcome to watch her online video: Co-existing Peacefully With Baboons/Monkeys and read her Blogspot on the Samango Monkey Project. If you want to support Karin in her work financially or practically, please contact us and we will happily pass your details on. As you can see, our courses are highly respected by conservationists actually working in the field to help save the wildlife of our world, so you really can trust ADL to help you develop the knowledge and skills you need, to get involved in the environmental welfare of animals. How Do Our Tuition Fees Compare? Full time classroom based Further Education Courses - Approx. £5,000 per year - Part-time classroom based Adult Education Courses - Approx. £7.00 per hour - N.B. classroom tuition means you learn at the pace of the class. One-to-one private tuition - from £15.00 per hour - ADL one-to-one tution fees - From £340 per 100 Hour Course = Average of £3.40 per hour - N.B. one-to-one tuition is tailored to your own individual learning availability and pace. Course Start Begin your learning at any time. Course Qualification (Study Option A) Endorsed Qualification from TQUK - Training Qualifications UK, an Ofqual Approved Awarding Organisation - Completed written assignments and final evaluation per course/module to be taken. Course Qualification (Study Option B) Certificate of Attainment from ADL - Completed written assignments only - no final evaluation. Comparative Credits Information UK Course Credits: 60 - U.S. Credit Hours: 18 - when compared to regulated courses. Course Duration and Deadlines Course hours given are a guide only. You will be encouraged to work at your own pace to learn as much as you can, with no assignment deadlines or end date by which you must complete your course by. You are in control! Study Support Personal tutor/mentor support from industry relevant professionals throughout your whole course. Mentors are contactable by e-mail, telephone and through the Moodle online classroom. They provide assistance with your course material, plus discuss, explain and give advice when needed. They will also mark and grade your assignments, plus provide constructive and helpful feedback vital to your success. Suitability for Self Employment and Small Businesses Our courses are ideal for sole traders and small business owners and their staff. Customer confidence in what you can do will determine how successful you are in getting clients. Doing the job right using the correct knowledge and skills, leads to repeat business and referrals to friends, family and work colleagues. Completing one or more of our courses for the service you have to offer, will give you the tools to achieve this and grow your business. Recognition of Your Course By Employers We aim to achieve the correct balance between your qualification being recognised and providing you with the in-depth learning, to empower you to succeed. If you can demonstrate that you have the level of knowledge and transferable skills necessary to an employer, you should stand out from someone who has only received a superficial understanding of what's required - Select study option A when enrolling, so an employer can check the status of the awarding organisation for your qualification on the Ofqual Register. Recognition of Your Course By Universities As you will see on our Testimonials page, previous students have used their qualification from us to get into university. However each one will have its own entrance criteria and acceptance may also depend on your other qualifications and experience. We can approach up to three universities on your behalf with details of our course before you enrol, so you will know whether it will be accepted as part of their application process. Please complete our contact form and we will begin the process. Designing Your Own Qualification Bundle up your choice of related courses to form your own qualification. Our Advanced Certificates (4 courses), Diplomas (6 courses), Advanced Diplomas (8 courses) and Higher Advanced Diplomas (12 courses), are used to differentiate between the in-depth knowledge and skills you will acquire in your chosen area of study. e.g. Advanced Certificate in Turf Care Management, which includes individual courses: Turf Care, Sports Turf Care, Turf Repair and Renovation and Turf Grasses. How Can I Enrol? Online by selecting your study option, learning materials, plus payment option and then clicking the Enrol Now button - By contacting us for an application form - By telephoning us on 01227 789 649 (International: 0044 1227 789 649). Lines open 9am till 5pm Monday to Friday, excluding Bank Holidays and between Christmas and New Year.